Sylvester Stallone gears up for a men-on-a-mission film with the Nu Image/Millennium Films war picture The Expendables. Jason Statham and Jet Li co-star alongside the brawny filmmaker as a group of mercenaries who undertake a near-impossible operation to overthrow a dictator in South America. Mickey Rourke, Eric Roberts, Terry Crews, and UFC star Randy Couture co-star in the action-packed production. 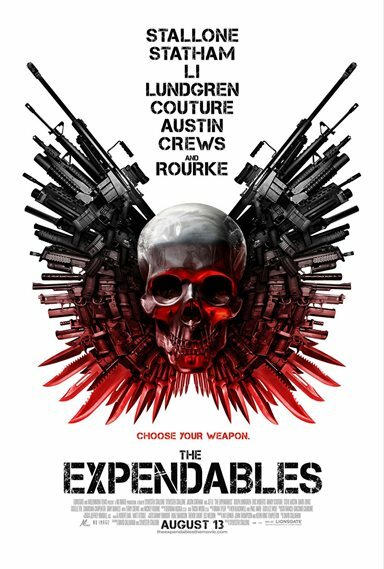 Download The Expendables in Digital HD from the iTunes store. The Expendables images are © Lionsgate. All Rights Reserved. The Expendables is a no holds barred, make no apologies, straight up action flick. Within the first ten minutes of the movie we see what kind of guys we are dealing with and what we can expect from them throughout the course of the movie. We have assembled a who's who of action stars, ranging from the early eighties and right up to the present. With such a large cast you might think that it would be difficult to incorporate such a cast and allow them enough time to shine in the spotlight. Well there is reason to worry here. Every face on this screen has just enough time to give the audience an idea of their motivations. We begin with our motley crew of warriors as they infiltrate a freight barge in an attempt to rescue hostages from pirates. Naturally they get the job done with no casualties on their side or the hostages. What we do learn is that not all of these fellows are happy with their line of work. Gunner (Dolph Lungren) is haunted by the work they do and refuses to "keep in line". Barney Ross (Sylvester Stallone) is the fearless leader and he clearly has moral compunction about what it is they do. When they get return from this mission things return to normal but only long enough to establish for the audience where the mission will be taking place and who our main villain is (Eric Roberts). The next mission is to a little island called Vilena where an ex CIA operative has taken over the local militia there and now controls a small drug empire. The go-between these expendables use to acquire missions is Tool (Mickey Rourke) and even in something of a small part Rourke finds a way to bring personality and emotional depth. As everyone has heard the two big cameos here are Bruce Willis and, the governator himself, Arnold Schwarzenegger. The only who really matters is Willis's because he is the one who offers the Vilena mission to Stallone. Arnold's appearance is icing on the cake for anyone who has enjoyed watching him on film. From here things become fairly cliché. Barney and Lee (Jason Statham) go off to scout the mission; they hit some trouble, barely make it out alive but are sure to leave a reminder of how badass they truly are. Barney is troubled by this mission, and after a heart to heart with Tool, decides to go back and finish off the job. And quite frankly is doesn't matter, because the whole time you are simply in love with the big explosions, in your face fight sequences, and general machismo. What this movie does is bring us back to a time when action stars were action stars. They caused damage and laughed about it. They had excellent one liners and comebacks for every situation. There was a time when the American audience loved this sort of movie. We couldn't get enough of Clint Eastwood as Dirty Harry. We loved seeing Arnold show the Predator who is the toughest guy around. Somewhere along the way the tough hero disappeared and we now have action stars that are still tough but seem too conflicted about what they have done. 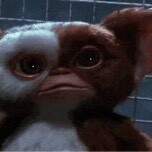 This movie reminds us that sometimes it's good to have a hero who doesn't wonder about what they do. It's what they do and they don't need to over think it. So to put it quite simply and in the vernacular of our favorite action heroes, get off your duff and go see this movie. Or else.